· Sugar despatched by sugar mills across the country from 1st October 2016 to 31st January 2017, as reported by the sugar mills, is lower by 7.5 lac tons as compared to the sugar despatched in the first 4 months of the previous sugar season 2015-16 SS. · As was expected, sugar despatches by mills in January 2017 is lower by almost 2.5 lac tons as compared to that of January 2016 last year. The trend of lower sales noticed from October 2016, has continued even in January 2017. One has to wait to see whether the trend of lower off-take will continue or get reversed in February’17. · Last year in 2015-16, total sugar despatches were to the tune of 248.5 lac tons. Considering that the downtrend of sugar sales gets reversed and taking sales in the next 8 months of the current season at similar levels as that of last year, the current year’s sugar despatches would be around 240 lac tons. However, if one takes 2% growth over last year in the next 8 months, the sugar despatches can be 160 lac tons. Therefore, the sugar consumption/despatches in the current season would be in the range of 240-243 lac tons as per this calculation. · As on 15th February, 2017, sugar mills in the country have produced 146.72 Lac tons of sugar, as compared to 173.34 lac tons produced as on 15th February 2016. Sugar production in this season till 15th February 2017 is 26.62 lac tons lower than the sugar produced upto the corresponding date last year. · Of the 483 sugar mills that started crushing in 2016-17 SS, 191 mills have closed their operations. 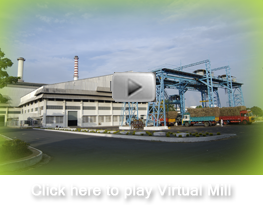 About 80% of the mills in Maharashtra and 95% of mills in Karnataka have closed. · U.P. has produced 54 lac tons of sugar till 15th February, 2017 as against 45.55 lac tons of sugar production last year till 15th February, 2016. As on date, out of 116 sugar mills which started operation during the current sugar season, 6 sugar mills have shut its crushing operations. · In Maharashtra, 153 sugar mills have produced 39.73 lac tons of sugar till 15th February 2017, compared with 62.70 lac tons produced in last season on the corresponding date. Out of 153 sugar mills, 31 sugar mills are still operating. Last year, out of 177 sugar mills which operated, 144 mills were operating on the corresponding date. · 61 sugar mills of Karnataka have produced 20.25 lac tons of sugar as on 15th February 2017, compared with 32.31 lac tons of sugar production in last year till 15th February 2016. 58 out of 61 sugar mills which had started operations this year, have shut their crushing operations by 15th February 2017 for 2016-17 SS, as compared to 3 mills which had shut their crushing last year on the corresponding date. South Karnataka has a special crushing from July and hence some mills will produce some more sugar then. · Andhra Pradesh and Telangana sugar mills have produced 4 lac tons of sugar upto 15th February 2017. This is lower to last year, during the same period, when there was a production of 5.50 lac tons upto the corresponding date. Out of 26 sugar mills which started crushing this year in A.P. and Telangana, 19 mills are still running. · In Tamil Nadu, 37 sugar mills have produced 5.10 lac tons of sugar as on 15th February, 2017, as compared to 4.00 lac tons of sugar produced by 38 sugar mills in 2015-16 SS till 15th February 2016. · As regards Gujarat, 7.00 lac tons of sugar have been produced by 19 sugar mills as on 15th February 2017. Last year, 19 sugar mills had produced 8.08 lac tons of sugar on the corresponding date. · In Bihar, 11 sugar mills have produced 3.75 lac tons till 15th February 2017, as compared to 3.87 lac tons produced during 2015-16 SS till 15th February 2016. · In case of Punjab, 16 sugar mills which are in operation have produced 3.80 lac tons of sugar upto 15th February 2017, as compared to 3.55 lac tons produced by same number of mills on the corresponding date last year. · Sugar production in Madhya Pradesh & Chhattisgarh till 15th February 2017 is slightly higher at 3.30 lac tons, compared with 2.80 lac tons produced as on 15th February 2016. · Sugar production in Haryana and Uttarakhand till 15th February 2017 is 3.20 lac tons and 2.10 lac tons, respectively. These States produced 3 lac tons and 1.75 lac tons respectively, last year same period. · Current retail prices of sugar, as per web site of Ministry of Consumer Affairs, are on an average Rs. 42 per kilo for the country as a whole. · The ex-mill sugar prices have witnessed a fall in the last few days, mainly because of lack of off-take and poor demand. Currently, ex-mill prices in North India is around Rs. 37 per kilo and in South and West India is around Rs. 36 per kilo. · Current global prices are higher to the domestic prices making imports unviable at current levels.